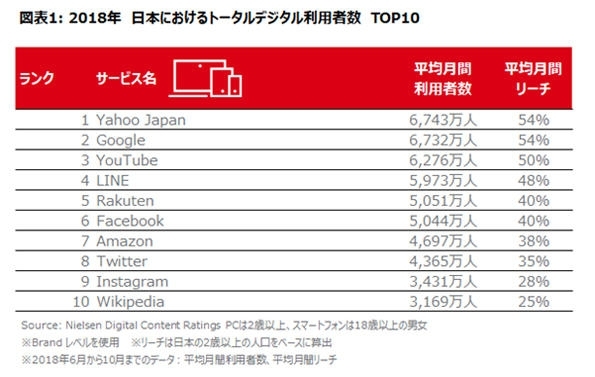 The Nielsen Digital’s survey shows that the top internet services used by Japanese in 2018 in terms of the average reaches a month on PC and mobile phone was Yahoo! 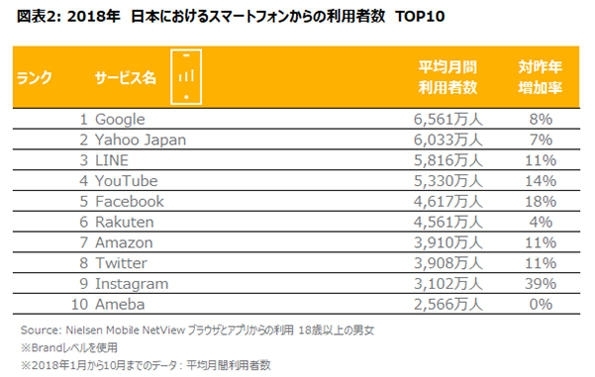 Japan with 67.4 million users, followed by Google with 67.3 million users and YouTube with 62.8 million users. The results represented that more than half of the entire population used each of the internet services every month in 2018. As far as mobile phone users are concerned, the top was Google (65.6 million users a month), followed by Yahoo! Japan (60.3 million users a month) and LINE (58.2 million users a month). The largest growth rate was found in Instagram with 39% up. 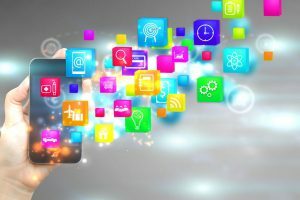 The most-used mobile phone app was dominantly LINE (55.3 million users a month), followed by Google Map (39.4 million users a month) and YouTube (38.5 million users a month). Other Google services, such as Gmail or Google Play, also ranked high.